The fashionable photographer, illustrator, author, and influential style blogger explains what elegance means to her. × A sincere smile. Not necessarily a perfect smile, but a radiant one. × A taxi driver waiting for you to get through your front door to make sure you are safe. Rare but beautiful. × Having a great sense of humor, and being able to laugh at yourself. Works even better if you’re George Clooney or Barack Obama. × Attention to others. Have you ever met someone who, when they look into your eyes, makes you feel like the most interesting person in the world? × Bringing fresh flowers for no reason. × Politeness. It can seem unnecessary, I know, but wherever you are, knowing a few basic rules of politeness and being able to apply them naturally, without being obvious, is so elegant. × Holding the door. Please, hold the door. I’m sorry—I know it’s old school, but it’s so worth it. × Quitting in an honorable way. Tipping in a generous way. Winning in a flamboyant way: Being chic doesn’t mean being self-effacing. × Knowing when to make an entrance (too early is before your host has finished cooking their turkey, and too late is once the turkey is cold), and knowing how to make an exit—not the first, not the last, right in the middle. × Reacting to the small accidents of life with laughter. × A sense of culture that isn’t flaunted or in your face but one that just shows that you are open to the world! Culture is the chicest accessory in the world. Read a book. × Apologizing. Sincerely. Explaining why you were wrong, to show that you really took the time to think about it. Giving someone time to come back to you. Understanding if they never do. × Being able to say no without explaining but in a manner that will make people respect it. × A waiter running after you to give you your phone back. × Kindness. I love people who are kind. To me, kindness is the trait of kings. Kind people who don’t proffer hasty judgments are often the most intelligent ones. × Someone who asks, kindly, what seat number you’re sitting in. And laughs with you when you realize you’ve made a mistake with your seat. × A friend waiting with you till you get your cab. × Giving back. To a charity, to the young, or to the old. Sharing what you’ve learned, passing it on. × Giving the people you love freedom, com- passion, and understanding. × Giving yourself freedom, compassion, and understanding. That’s very elegant. Adapted from LOVE STYLE LIFE by Garance Doré. Copyright © 2015 by Garance Doré. Reprinted by arrangement with Spiegel & Grau, a division of Penguin Random House LLC. All rights reserved. 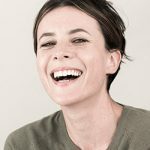 GARANCE DORÉ is a photographer, illustrator, author, and founder of an eponymous influential style blog. Winner of the CFDA Eugenia Sheppard Media Award, Doré has contributed both as a writer and photographer to publications including American, British, and Paris Vogue, The Wall Street Journal, The New York Times, T Magazine, Elle, The Guardian, and New York magazine. Originally from Corsica, she currently lives in New York City. Love Style Life is her first book.